Walls with drawings of hands, Aktun-Sabakha, Tekax, Yucatán. Photo Eunice Uc INAH. MEXICO CITY.- More than 300 caves and cenotes have been registered by the National Institute of Anthropology and History (INAH) at the Puuc Region in Yucatan, which are part of more than 2000 existing in the area; archaeological vestiges of ritual and domestic activities have been found inside them. The project Caves: Register of Prehispanic Cultures Evidence in Puuc Region propelled by INAH in 1997, is focused in preserving Maya archaeological heritage deposited in these natural spaces, as well as determining their location, dimensions and topographic features by satellite. Information from caves verify uses and customs found in historical sources. Eunice Uc Gonzalez, researcher at Yucatan INAH Center and woman in charge of the project, declared that data base counts to present with information regarding 300 underground spaces. We have found masonry walls, lintels and jambs, petroglyphs, material such as grinders, bowls and dishes, and in some cases, mural paintings on caves walls. For over 11 years, the specialist conformed a classification that divides underground caves in 3 groups, according to the use given by ancient Maya people: Ritual spaces, domestic work spaces, and mines that have been named chamber-deposits. Each category has particular physical features that have helped researching ancient Maya quotidian life in Puuc Region, which extends at the south and southeast Yucatan State and includes Uxmal, Chacmultun and Oxintok archeological sites. After explaining that aktun is how caves are called in Maya language, archaeologist Uc mentioned that ritual caves were used exclusively by priests: Prehispanic mortar walls found at the accesses prove this information. Lintels that cover special chambers with petroglyphs and blue paintings, color related to the sacred, have been found. 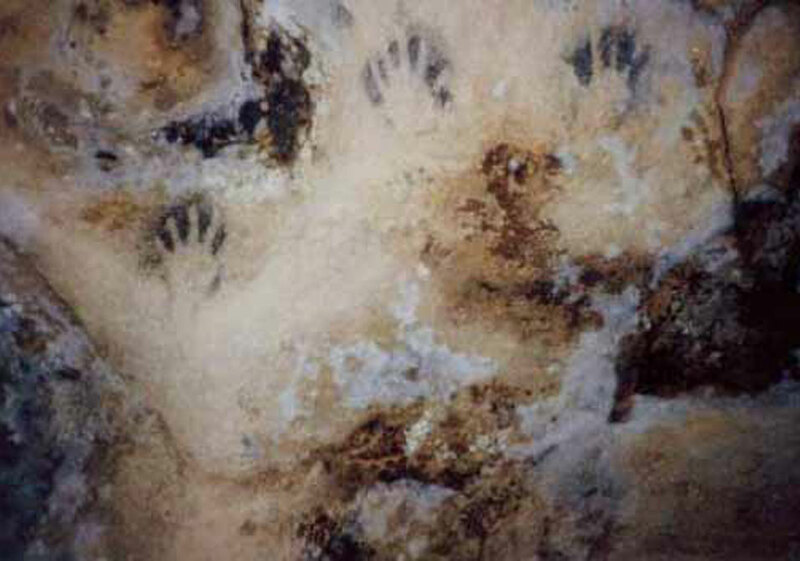 In different accesses to caves, hands, deer and Chaac representations were found, indicating ceremonies took place there. Priests entered to contact divinities, and caves were considered by Prehispanic Maya communication portals between human and divine spaces. The sacred water, suhuy ha, never touched by human hands, was found in caves; 16th century historical sources mention how this water was collected from stalactites in grinders carved especially for this purpose. Contemporary Maya people still recover the ritual liquid used in ceremonies in caves like Aktun- Usil and Calcehtok, in Maxcanu municiplity, and Aktun-Sabakha, in Tekax region. In Aktun Usil cave, a group of red paintings was found. Epigraphy revealed designs are cardinal points and numbers, pointing out that the cave was an astronomical space, where probably calendars related to agriculture and society were created. Eunice Uc mentioned that domestic work spaces are those caves with natural light entrances, where Prehispanic grinders and other stone carved recipients, ceramics and other vestiges were found, were dwelled. An example of this is the El Ramonal cave, in Tekax municipality. The third type of caves was used to extract minerals and clay, used to make ceramics or to finish houses. Aktun Hoon, in Tekax belongs to this kind. According to 16th century historical sources, every determined period of time, all domestic tools had to be destroyed. Thrown away pieces were disposed at caves, and this material helps to date each places occupation. The project includes expert reports of new caves found by inhabitants. These reports have been conducted at Tekax, Oxkutzcab and Oxkintok. Routes to be explored by speleologists have been proposed, and anthropologists train local inhabitants to protect and take care of the caves.